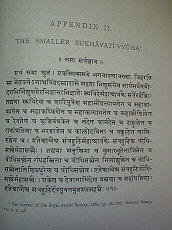 SUKHAVATI-VYUHA, Description of Sukhavati, The Land of Bliss. Ed. 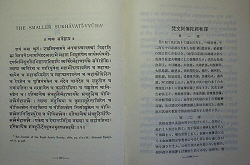 by F.Max Muller and Bunyiu Nanjio(南条文雄), 1883, Oxford, pp.1-78. 梵和対訳阿弥陀経(ed. 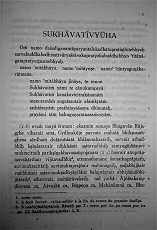 by F.Max Muller and Bunyiu Nanjio; annotated by Unrai Wogihara), 『浄土宗全書23』山喜房仏書林,1972, pp.4-191. SUKHAVATIVYUHA, ed. par Atsuuji ASHIKAGA(足利惇氏), HOZOKAN(法蔵館), 1965. Data input by Yoshimichi Fujita, Mujintou-Zentokuji.